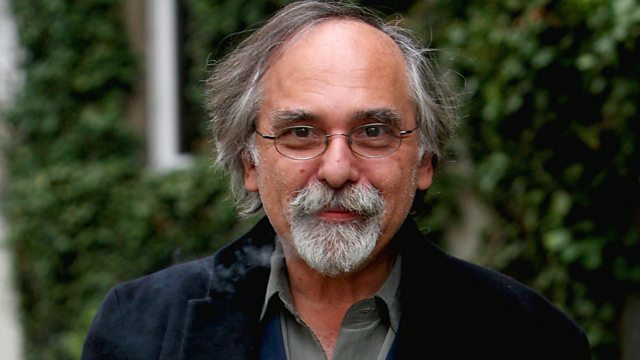 Art Spiegelman talks to James Naughtie and readers about his graphic novel Maus, the story of his father's life in Poland during the war and his survival of Auschwitz. James Naughtie and readers talk to the American writer and artist Art Spiegelman about his graphic novel Maus. First published in short frames in his experimental comic RAW in the 1970s, Maus the book has become a publishing phenomenon, selling over two million copies world wide. It tells the story of his parents, Vladek and Anja Spiegelman, from their first meeting in pre-war Poland to their survival of the death camps at Auschwitz and Dachau and their move to New York after the war. Part of the success of the book is Art's portrayal of the characters as animals. The Jews are mice, the Germans cats, the Poles pigs and the Americans dogs. The mouse metaphor, he says, came naturally to him as a comic book writer. He wanted to keep the scale of the book small, and with Maus, all he wanted to do was tell a story, he never wanted to change the world, he's too pessimistic for that. The story follows the birth of his elder brother Richieu, who was poisoned by an aunt rather than face capture; how his parents were hidden by generous Poles, and then betrayed to the SS as they paid to be smuggled over the border to safer Hungary. As well as the force of this story, Art Spiegelman talks about the powerful subplot which shows the difficult relationship between father and son, and what it could be like for the child of Holocaust survivors. In Maus, Art refuses to sentimentalise or sanctify his father the survivor; and in the same way his self-portrait is unflinching in its honesty. March's Bookclub choice : The Line of Beauty by Alan Hollinghurst.